Stony Brook University also receives outside funding to help life science researchers conduct pioneering work in a number of scientific fields. So far in 2014, the National Institutes of Health have given Stony Brook $43.9 million, while in 2013, the National Science Foundation gave Stony Brook $26.5 million. In 2013, Stony Brook received $51 million from the NIH and was ranked among the top 100 schools receiving the most funding from this organization. Additionally, Stony Brook’s 2012 life science R&D expenditures totaled $99.2 million. Taking advantage of the funding within this active research marketplace is as easy as exhibiting at the BioResearch Product Faire™ Event at Stony Brook University. Exhibiting at Biotechnology Calendar, Inc. life science marketing events gives you the benefit of meeting face-to-face with engaged researchers interested in learning about your biotech solutions. At last year’s Stony Brook event, 220 professionals were in attendance. Of these attendees, 92 were qualified leads such as purchasing agents, professors, post docs and lab managers. Nineteen different research buildings and 46 on campus departments were represented at this event. Don’t miss the opportunity to increase sales for your biotech solutions within a well-connected research market. 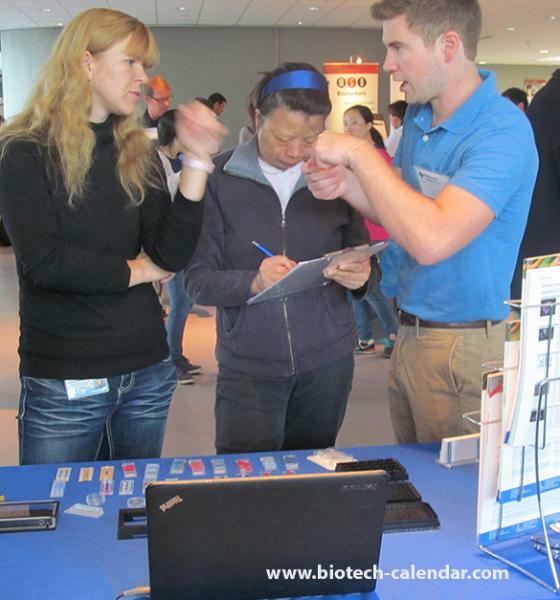 If you would like to meet face-to-face with life science researchers at Stony Brook University, Biotechnology Calendar, Inc. invites you to exhibit at the BioResearch Product Faire™ Event at Stony Brook University on October 2nd, 2014. For more information on life science marketing events in other U.S. regions, see the 2015 calendar of events. Click on the button below for in-depth funding statistics and event information for Stony Brook University.